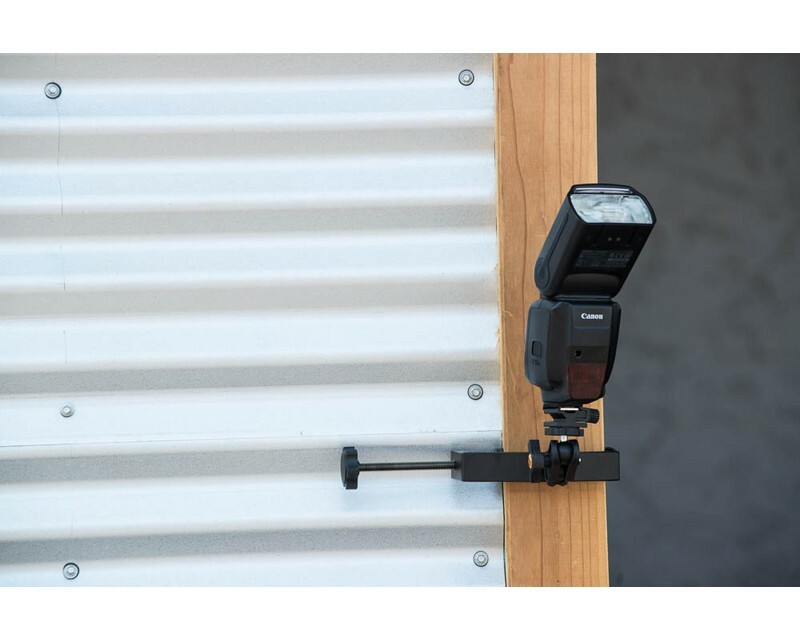 The RapidMount EasyGrip Kit includes a cold shoe mount for speedlights which easily mounts to the included Rock Solid EasyGrip via a 1/4″-20 thread. 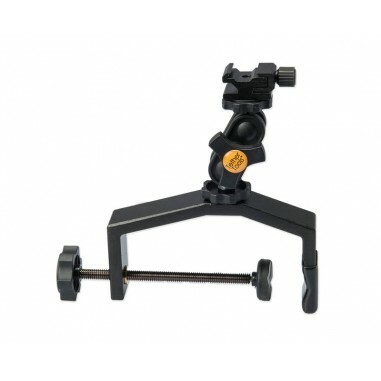 This allows the speedlight to be mounted to just about any flat or round surface. 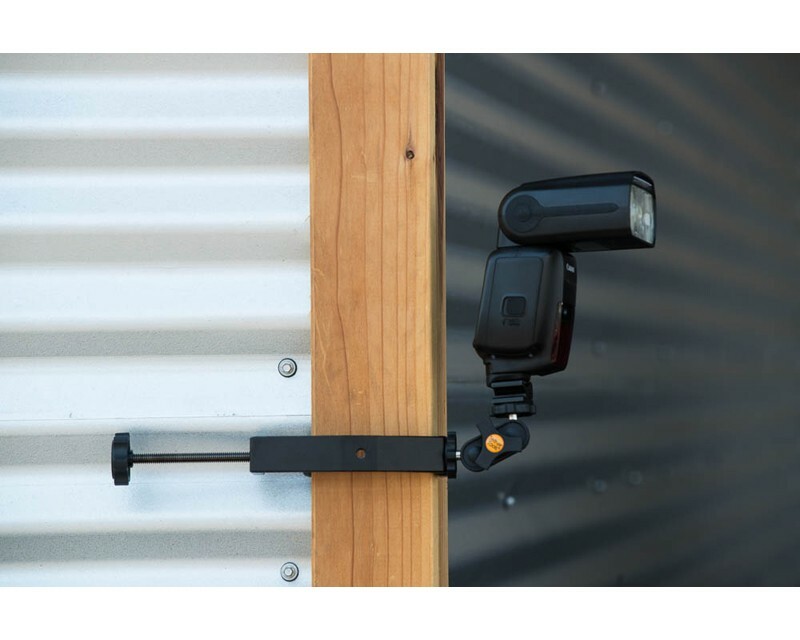 The RapidMount EasyGrip Kit from Tether Tools mounts Speed Light Flashes securely to many flat or round surfaces; such as poles, handlebars, tables, and more. Aluminum construction, the EasyGrip is compact and lightweight, simple to use, and strong. 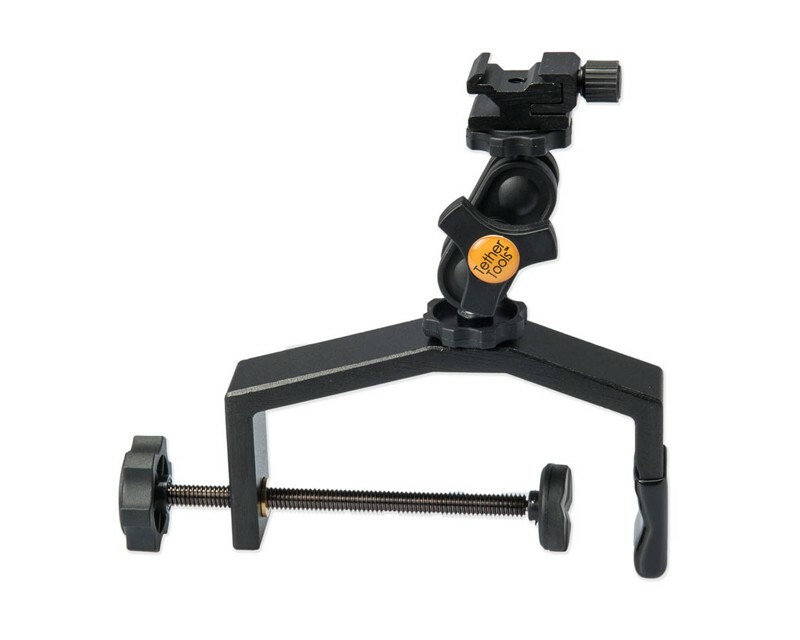 The articulating ballhead assembly includes a RapidMount Cold Shoe for mounting SpeedLight flashes. Additionally the cold shoe can be removed exposing a ¼”-20 thread for versatile mounting of cameras, lights and a variety of other gear. 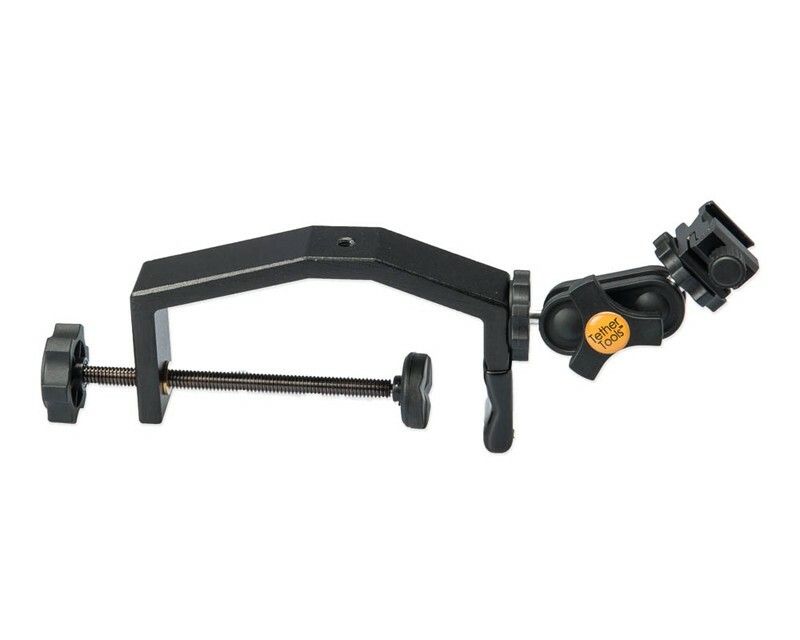 The RapidMount EasyGrip supports weights up to 6lbs(2.7kg). 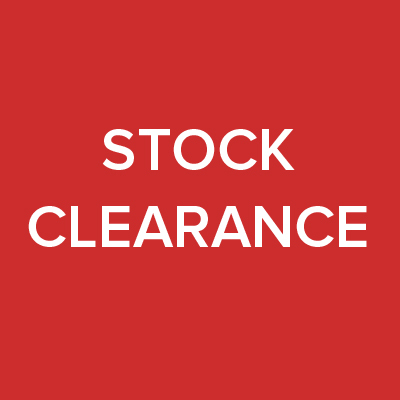 Includes Tether Tools Lifetime Warranty.